Who doesn’t love love? And when your baby comes into the world, it can feel like the word takes on a whole new, deeper meaning. The second you lay eyes on her, your first priority becomes showing your new bundle of joy all the love you can muster. One way to do that? By giving her a lovely and romantic name. 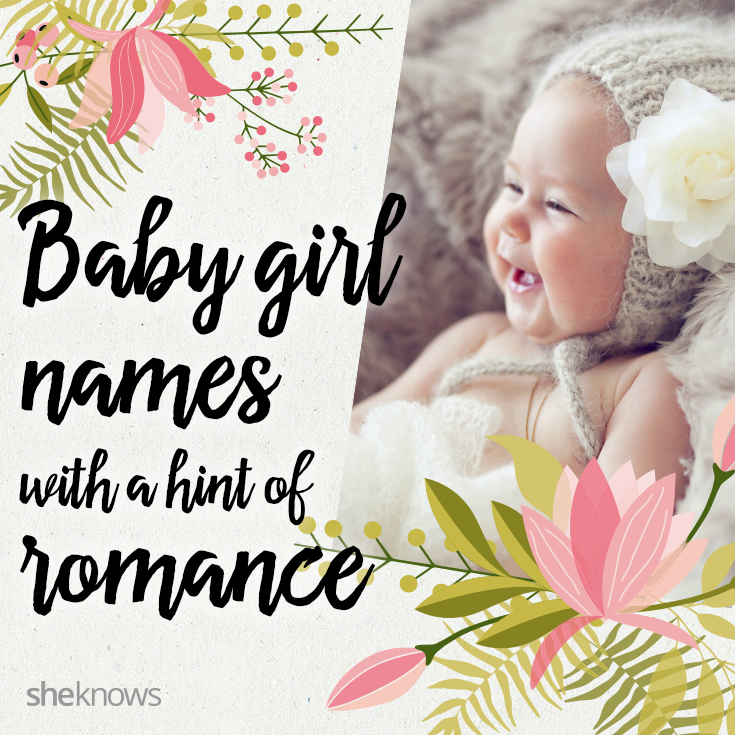 From romantic destinations and regal flowers to names that quite literally mean “love,” here are 62 of our favorite baby names that the Romantic poets would have loved. Why not name your daughter after a favorite place, whether it’s where you grew up or a honeymoon destination? For example, back in 2010, Amy Adams named her daughter Aviana, inspired by her birthplace of Aviano, Italy. Here are some ideas for girl names after romantic destinations. The following girl names actually mean “love” or a variation of it. You’ll find both popular and uncommon names on this list — and all are lovely. Flowers are romantic and beautiful — and also make great baby names. Girl names that are long, elegant and feminine have a very romantic feel to them. Many of these names are classics that will stand the test of time.